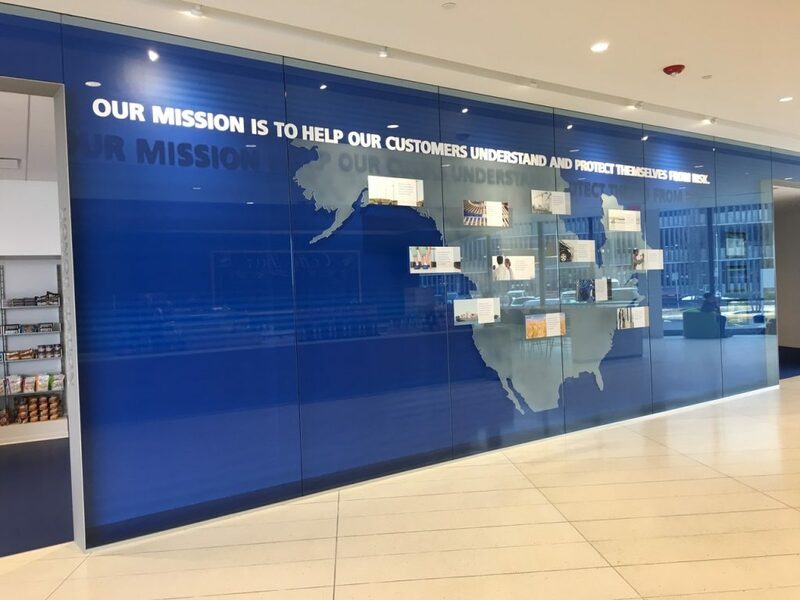 Jeff Miller, owner of Divine Signs in Schaumburg, IL, completed quite a large project for Zurich Insurance. Divine Signs has been a trusted signage provider for Zurich since the summer of 2004. Their longstanding relationship began with a 12” x 18” parking lot sign, and has developed into an exceptional business relationship consisting of hundreds of orders, and millions of dollars over the past thirteen years. The biggest and most recent project for Zurich consisted of all the corporate branding signage for the new 783,000 square foot National Headquarters. 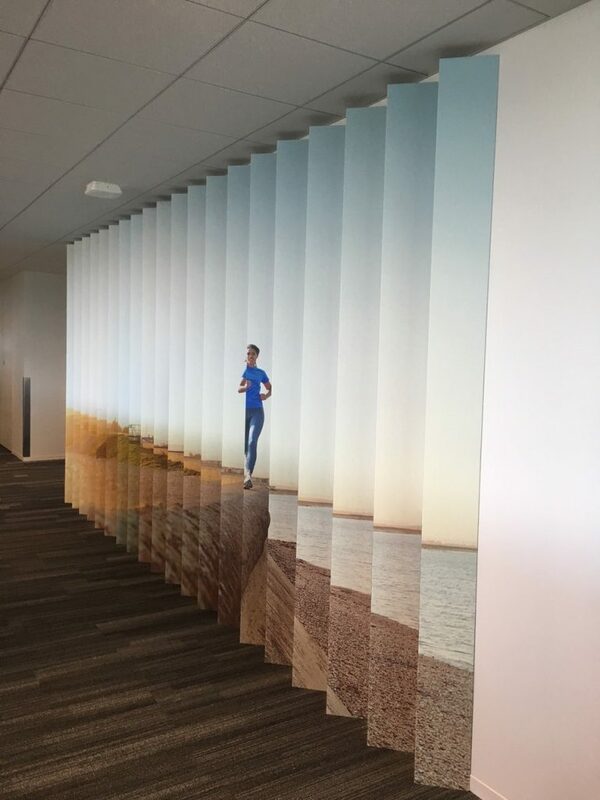 The project included over 2,100 square feet of custom cut and bent aluminum accordion walls, over 10,000 square feet of full color digitally printed wall wraps, and a custom cut 10ft x 16ft sandblasted acrylic map of North America. Of all the items in the project, only a few required specialty fabrication and machining. Diving Signs was able to partner with local fabricators to get these items produced. 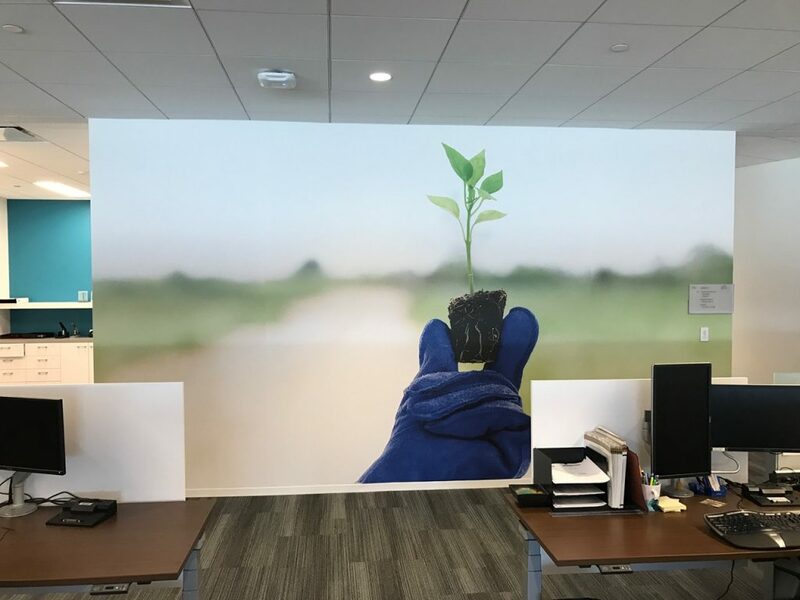 Along with their local partnerships, a majority of the work done for this project was printed and fabricated in-house at Divine’s location. Jeff Miller and his team enjoyed this project due to all of the “out-of-the-box” items. So many of the items they produced were unlike any other signage products they had produced in the past, and being able to take part in designing, producing, and installing these items was a very enjoyable experience. Although this project demanded a high level of time and attention, Divine Signs still maintained their regular schedule. 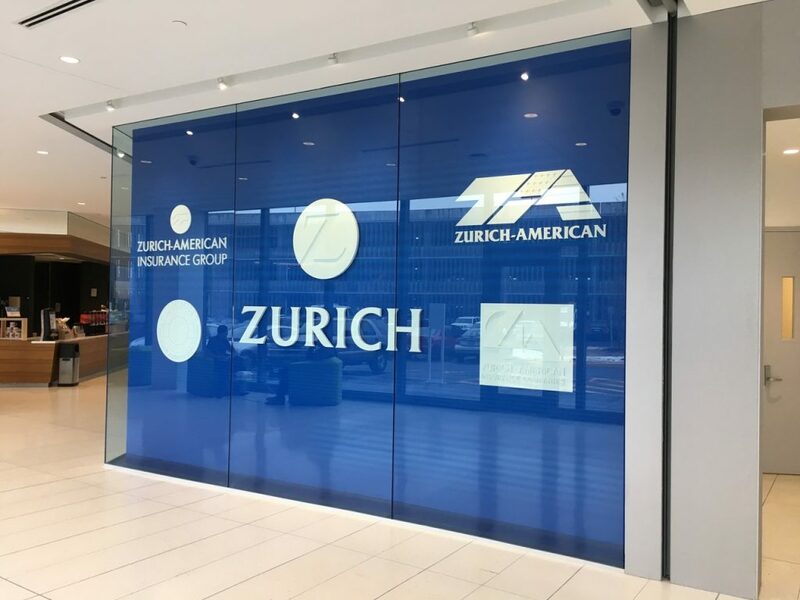 They were able to continue to prioritize Zurich as a highly valued customer and still made sure all of their other customers felt that they are highly valued, too. Instead of letting a single project affect their other customers, the team at Divine Signs rallied together to push themselves to do more instead of just focusing on the Zurich Project. The Zurich North American National Headquarters project itself brought in a total of $237,000.